PlayerUnknown's Battlegrounds has become a massive hit ever since it came out thus it's not that surprising to see a huge desire for it to become the next big thing in eSports. 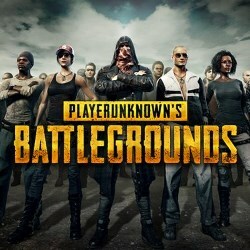 There is a whole new line of rumors regarding PUBG eSport future. We know that many professional teams are trying to push this idea to the spotlight, but until recently there hasn't been any concrete evidence of it actually happening. PUBG eSports career has already kickstarted with several invitationals happening in recent months, up to the point of PUBG being featured at Dreamhack Winter 2017. Additionally, South Korea has two PUBG leagues while Russia StarLadder series hosted StarSeries iLeague. But, even before all this (back in PUBG's developmental stages), both professional teams and eSports fans have been massively cheering for exclusive eSports events. So, with the recent flair of events, it seems as though this future has never been closer. Even if PUBG Corp has plans of establishing their own eSports league, there are many questions left to be answered. For starters, will they drop all support for third-party tournaments (something that Blizzard has been focusing on) and whether or not will they opt for a franchise system. We are seeing more fresh examples of franchise league systems in eSports, more precisely NA LCS and Overwatch League. With Penn (as a former Blizzard employee) on board, both answers to the 2 questions above are likely to be positive… but as of right now, it's way too early for anyone to tell with certainty.